For years, I have used document cameras that required me to teach while being confined to a corner! There seems to be no perfect place for a document camera that requires so many cables, no matter how creative my cable-hiding skills were! 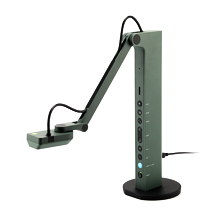 The iPevo VZ-X will be the perfect solution! The freedom to move about the classroom with a wireless document camera paired with my AppleTV will certainly be a welcomed addition to my classroom. While teaching mathematics, I often see exemplary student work that can serve as a model for other students. It interrupts the flow of a lesson when a document camera is at such distances from where the learning is really happening. With the VZ-X, I can quickly go from desk to desk showing the different strategies and solutions to a math problem all while being among the kids. When I'm not moving about the classroom, my students often find me sitting with them. As a facilitator of learning, they get excited when I join them at their desks as opposed to mine. With the VZ-X with me, I can lead the question and discourse while sitting among my students coupled with the ability to model via the VZ-X. 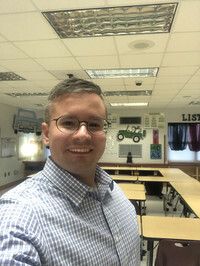 Guests often observe in my classroom; it would be my pleasure to introduce them to the power of a wireless document camera in a mathematics classroom.